We offer a full British Standard Lock N16 Fitting, Opening, Replacing and Repairing Service, offered by North London Locksmiths Ltd. Covering all of the North London, North West London, Home Counties and Central London areas. We are a registered, established Company, being recommended by Police, Insurance Companies, Councils, Housing Associations and of course YOU. ALL COMPLETE NEW LOCKS FITTED BY OUR COMPANY COME WITH OUR NO QUIBBLE GUARANTEE. Telephone:- 0208 800 6041 to speak direct to a member of our Locksmith Team. The British Standard Lock N16 Fitting Service by the Number "ONE" Locksmith Company. When using a Locksmith Company you do not know, or is not registered read this. Our Company are members of The Master Locksmiths Association. We are also recommended by Police, Councils, Housing Associations and Insurance Companies. The Carpenters and Locksmiths of North London Locksmiths Ltd. are available to supply and fit any type of BS lock, or standard lock, whether to a wooden, metal or plastic door or window....We are specialists in the Opening, Repairing and Replacing locks to UPVC units. Our Locksmiths open all types of locks and will always try to use a non destructive method in our openings. We offer a fast reliable service, normally arriving at your premises, within 40 minutes or less of your call. When we supply a complete new lock, we offer a NO QUIBBLE GUARANTEE. WE SUPPLY AND FIT BS LOCKS TO ALL NEW DOORS WHICH WE FIT, WE ALSO SUPPLY AND FIT WINDOW LOCKS AS WELL AS DOOR LOCKS, WHETHER BS OR NOT. AT OUR TRADITIONAL LOCKSMITH SHOP AS WELL AS OFFERING A FULL SERVICE IN REPAIRING, MAKING KEYS TO LOCKS, WHERE KEYS HAVE BEEN LOST OR STOLEN, WE ALSO SELL MANY MAKES OF LOCKS AND KEY COPYING SERVICE. A British Standard sets a benchmark for quality of goods and services. These are produced by the British Standards Institution (BSI). Products and services that BSI certifies as having met the requirements of specific standards are awarded the BSI Kitemark™, which can be found on product packaging and the products themselves. 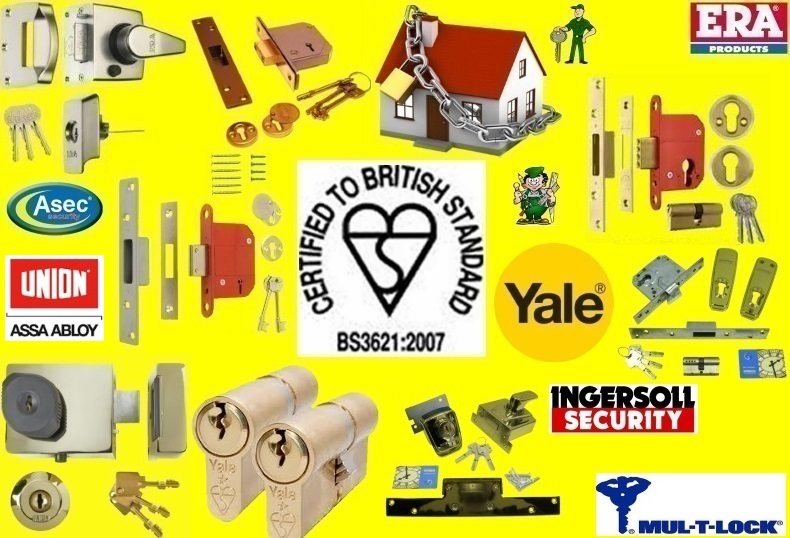 BS 3621 is a British Standard relating to thief-resistant locks. EN 1303:2005 is a European Norm relating to cylinders. Together, these standards benchmark the minimum performance for locks and cylinders on external or entrance doors to be acceptable to the Association of British Insurers (ABI) and the police service. These standards do not guarantee the resistance of the door to which they are fitted; the effectiveness of the lock also depends on the quality of the door, frame, and other hardware (that is not tested to this standard), which may fail before the lock or cylinder. A European Norm (EN) is a standard that outlines the rules, guidelines or characteristics required of products, services or systems, and has been adopted by one of the three recognised European Standardisation Organisations (ESOs): CEN, CENELEC or ETSI. Products and services successfully tested against the benchmarks in the relevant standard are said to “comply with the requirements of the standard”, and will be accordingly marked on the packaging. IF YOU LIVE IN OR NEAR THE FOLLOWING AREAS, YOU ARE NOT FAR FROM ONE OF OUR BRITISH STANDARD LOCK N16 FITTER. IF YOU ARE QUOTED £45 INCLUSIVE, FOR CALLING OUT A LOCKSMITH IN LONDON, BY A REGISTERED LOCKSMITH COMPANY.....YOU WILL BE CHARGED MANY EXTRAS ON TOP. Our Number "ONE" British Standard Lock N16 Fitters are available to fit these locks for you. Apart from our British Standard Lock N16 Fitting and Opening Service, we offer locks at good discounted prices through our WEB SHOP. YOU WILL NOT BE DISAPPOINTED BY OUR SERVICE. 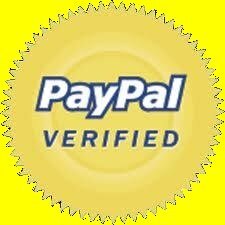 No need to pay silly call out charges, whatever you are quoted, by our Company, you will be charged, no hidden charges on top. Alternatively you can fill in the estimate form below and we will respond with an estimate as soon as possible. OUR TEAM ARE ALWAYS HAPPY TO GIVE ANY FREE ADVICE ON LOCKS OR KEYS, YOU MAY REQUIRE.